Vinyl Banners are one of the most common types of advertisements. Used both indoors and outdoors, these Banners can easily spread your message. Custom Banners can be used for various purposes, be it for business or for personal needs. Banner advertisements displayed in any location will immediately attract everyone’s attention. You can get party themed Banners as well: birthdays, weddings, you name it. Hang your Banners with the help of various hanging accessories in your desired location and promote your message. Vinyl Banners with your custom design are printed with sun resistant inks, which will preserve their vivid colors for a long time. 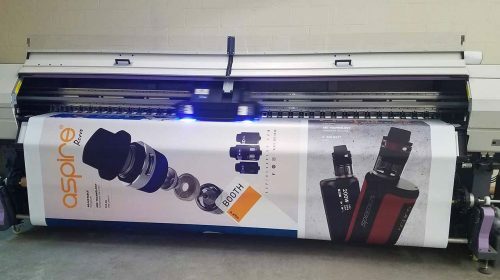 Take your advertisement to a new level and promote your business with Custom Vinyl Banners. Good advertising can be the key to the success of the business. Every company needs a good advertisement to spread awareness and create brand presence. 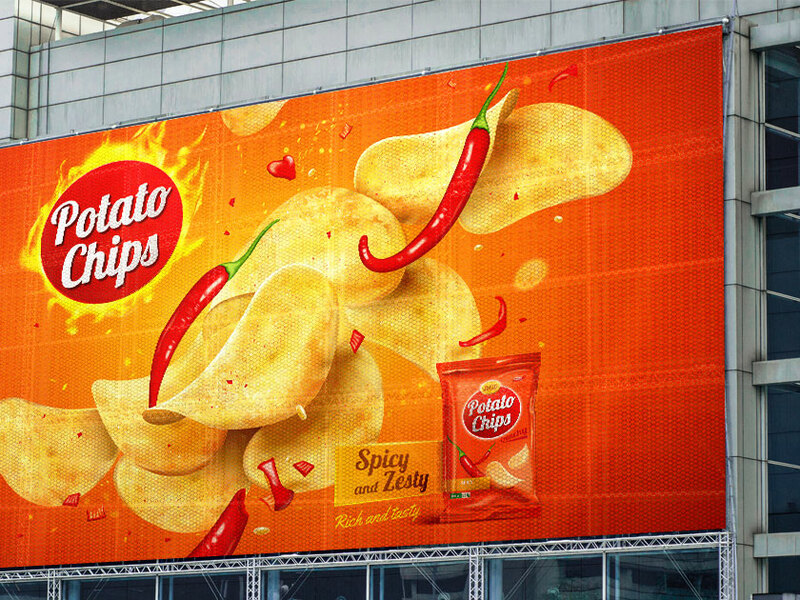 Outdoor advertising is perfect for that, which allows more visibility and awareness. We offer a variety of outdoor and indoor advertising banners and among them are Mesh Banners. These are especially perfect for outdoor – windy locations. The small holes on the Banners let the wind pass through it without ripping it off. 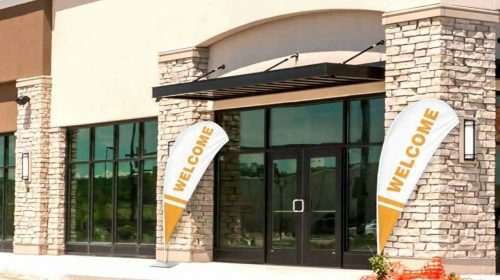 Hang your custom Banner in any location with the help of various hanging accessories. Printed with bright UV inks, Mesh Banners catch everyone’s attention, even from afar. Fabric Banner with its vibrant and crisp colors is attention-grabbing medium ideal for indoor use as well as outdoor advertising. 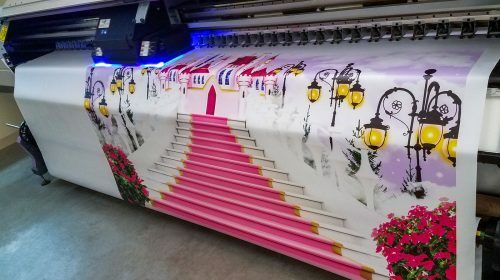 Our state-of-the-art printing technology enables us to meet variety of projects; window promotions, event celebrations, interior branding to name a few. The Full color, shade matching system ensure that your fabric graphics are consistent, impressive and rich in color. Textile Banners can be tailor-made in your desired size and design. 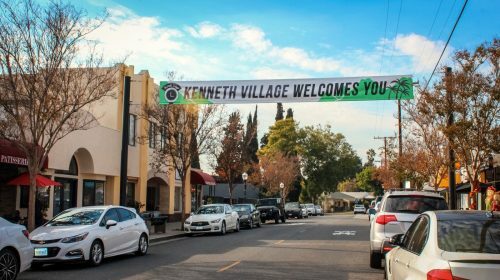 Use one of the many hanging accessories that we offer and display your Banner in any location you want. 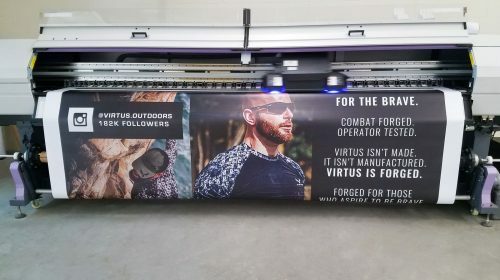 Display any sort of information on Fabric Signs printed with UV inks and take your business advertisement to a new level.Promote your brand, advertise a sale, and decorate your space with these sophisticated but chic Banners. 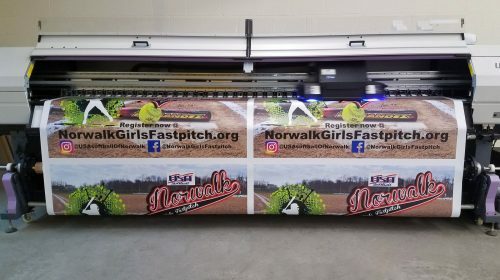 Vinyl Banners can have both business and personalized use. For business purposes, these are used at trade shows, grand openings or at some announcements. Banners are very useful for the above-mentioned situations, as they can fit any information. Also, outdoor Vinyl Banners are often used for street advertising. These can be seen on pavements, bridges and anywhere else, where it is possible to hang them. Often these can be seen in sports stadiums with the logo or the motto of the team. These are widely used in shopping malls to show that a new brand has opened in the mall. 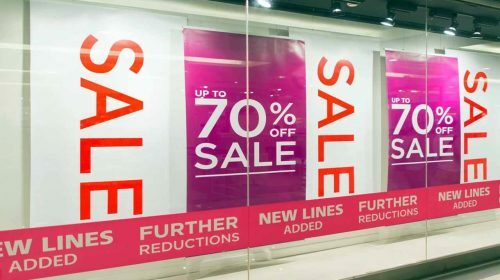 You can often see these promotional banners on the back wall of display windows, which usually have information about sales or about the new seasonal collection. As for the personalized purposes, you can order vinyl birthday banners or for all other types of events such as weddings and baptisms. People often order Banners with, for example, the picture of the person who is celebrating his or her birthday. For weddings, they order banners with the names of the bride and the groom, etc. For more visibility you can order double-sided Vinyl Banners. So, for instance, it is above the road, people in the cars driving from both sides of the road can see it. 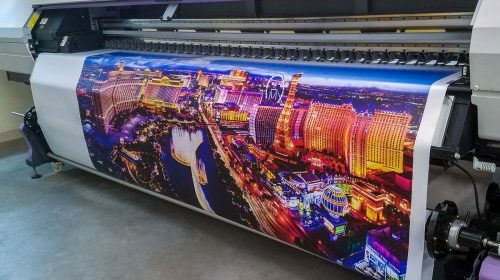 We use only high-quality UV inks to print customized design on Vinyl Banners. The inks are dried right after the printing process with ultraviolet rays, making the prints sun resistant. Vinyl Banners come white but you can have custom graphics in any desired style and color. Small or medium size Vinyl banners are very easy to install, you can do it even without a professional’s help. But, in case of larger graphics we recommend to use services of a professional. You can use our installation service for 100%-satisfaction-guaranteed, pro-level installation. We can add grommets or pole pockets on the Banners for installation. Also, the edges of the Banners are hemmed to make the grommets more secure. 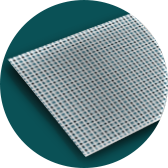 We offer the following accessories for installing Vinyl Banners through grommets. To hang the Vinyl banner, we offer the following accessories: Zip ties, bungee cords, Nylon Ropes, hanging clips. You simply pass them through the grommets and fix them wherever you want. You can choose the one that fits best for you. In case of pole pockets, just slide the vinyl graphics through the pole. Mesh banner - Apart from Vinyl banners, we also offer Mesh banners - which are ideal for windy areas. 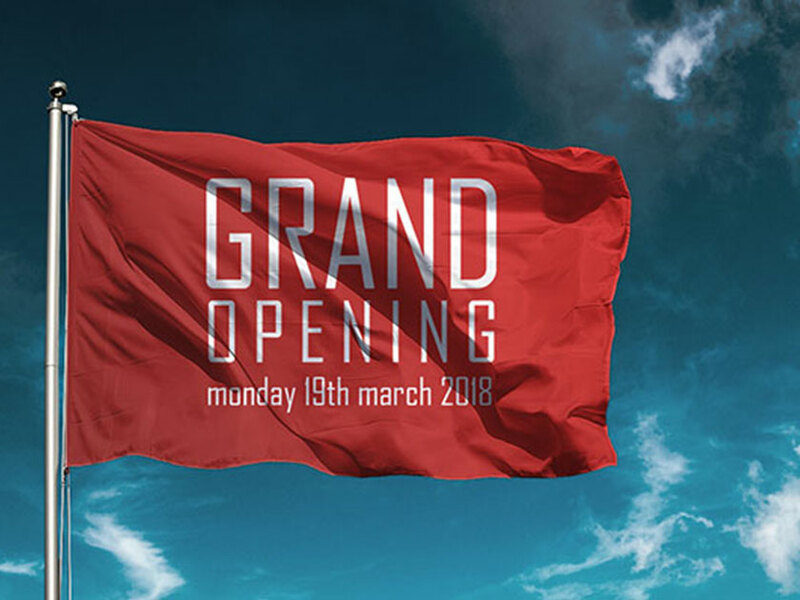 Apart the fact that this banner can withstand wind, its the ideal short-term or medium term promotional and decorative tool for open venue concerts, festivals and corporate events and meetings. Retractable banner - In case you are looking for a freestanding Vinyl banner, we can suggest a compact Roll up banner stand to be used during promotions and tradeshow exhibitions. Often you can find these banners for rooftop advertisements, on constructions and on building walls. 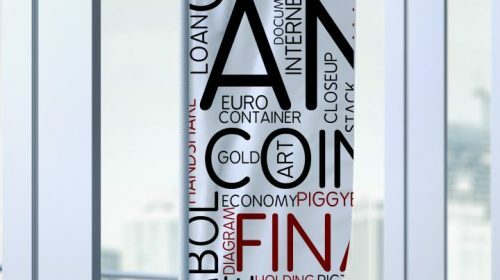 Many companies use Mesh Banners to inform that they are already open or when they are about to open their company. In this case they order Mesh Banners with messages “now open” or “opening soon”. These are perfect for attracting attention as you can get huge Banners without worrying that the wind will blow them away. Mesh Banners can often be seen on sports fields and open-air stadiums. 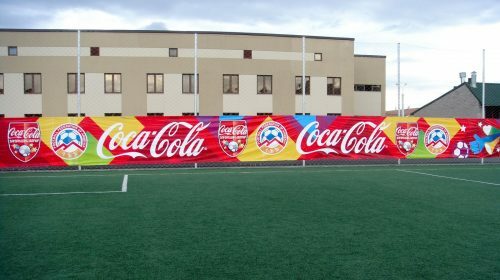 For instance, these are used in soccer and football fields for advertising the sponsors of the match. Also, these Banners are used for displaying the logo of the team. Another common use of Mesh Banners is at concerts and festivals. People use Mesh Banners for commercial purposes. Frequently Mesh Banners can be seen on stages as well, as a background with the logo of the festival. Mesh Banners help attract attention at various tradeshows and exhibitions as well. 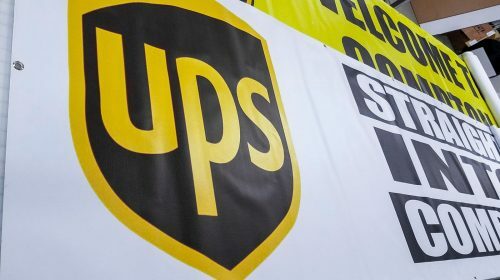 You can print anything on these Banners, be it the logo of your brand or any other piece of information. 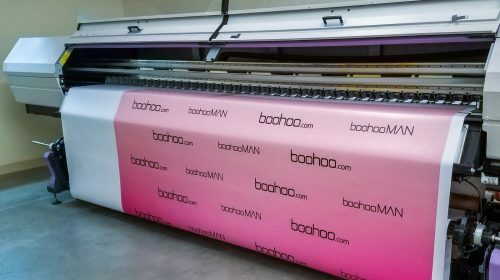 For printing on Mesh Banners, we use sun-resistant inks. The UV inks are dried right after printing with ultraviolet rays. Therefore, the vivid colors of your Banner will not fade away over time. You can order Mesh Banners with custom design printed on them. The installation process is pretty simple and it does not necessarily require a professional hand. 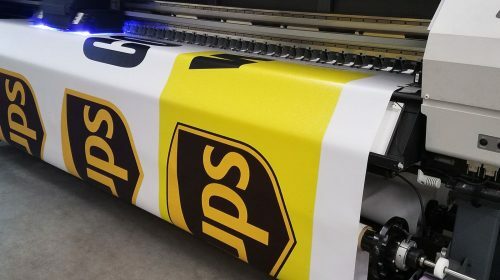 You can install the small or medium size banners yourself, however, in case of larger graphics and for 100% safe and secure installation, we highly recommend you use professional installation service. These banners are installed with the help of grommets or pole pockets. These give the ability to hang the banner from anywhere. In order to make the grommets more secure, we hem the edges of the Banner. This is the process of folding the edges where grommets are fixed. Here are some accessories that are used with grommets or pole pockets to hang the Mesh Banners from. Mesh banners do not require any specific care. When the Banner gets dirty just wash it with water. If you want to take off the banner you just need to unhook them and store them in a safe place. So you can use it anytime you want. Vinyl Banners - Mesh banners are ideal for outdoor locations and windy locations. It comes with bogger graphics with attracts prospects from far away. Vinyl banners, on the other hand, can be printed with rather informative messaging. Vinyl banners are ideal while used during trade shows, exhibition promotions, announcing upcoming concerts, events and corporate meetings alike. Fabric Banners are often used for all types of announcements and promotional purposes. You can use these banners for many occasions, as they are meant for both outdoor and indoor use. For exterior use, they can serve as a good advertisement, as for the interior - these can be used again for commercial purposes and as decorations for different types of events. You can order Fabric Signs for birthdays, weddings and other special occasions and events. Usually, step-and-repeat Telescopic Banners are used during these events to attract all the selfie lovers and photo enthusiasts. The banner can have decorative graphics or used to indicate the date and the name/s of the host. 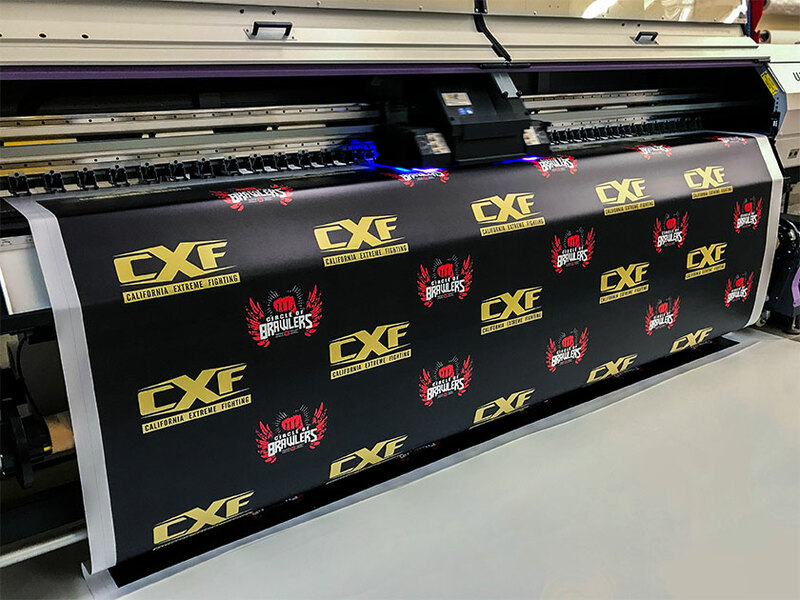 Fabric Banners are often used during trade shows to provide information about the company. You can often see Cloth Banners in schools and colleges as well. Libraries use these banners to let visitors know about the arrival of new books and to make announcements. Moreover, these banners are used at sports stadiums or during championships to welcome the team, etc. You have probably noticed that at concerts and festival there is always some type of a background banner on the stage. Usually, the band or the festival has its name and logo on it. And besides showing the logo they use it to conceal everything that is happening behind the stage. For printing, we use excellent UV inks, which are dried with ultraviolet rays right after the printing. The inks are sun resistant and will keep the vivid colors of the banner for a long period of time. The Fabric Banner printing provides vibrant colors, thus you can display any graphics on them. Our team of professional craftsmen are ready to provide you with installation services. Use one of the hanging accessories mentioned below for your Banner installation. We provide Banners with pole pockets, grommets with hemmed edges, to ease the installation process. For hanging the banner, we offer Nylon Ropes, hanging clips and a Bungee cord. These accessories can hold fabric banners of any size and are durable enough to withstand winds. Fabric banner is also used for stands and telescopic backdrops. 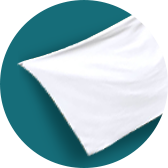 For this applications, we offer two finishes for the fabric banner: Pole pockets and grommets with hems. We can hang the textile banner from the pole or fix in place with zip ties. In case you need to hang the banner from a glassy surface, we can offer Suction cup and hook accessory. Fabric Banners are very convenient in use and can be used for multiple occasions. These are made from synthetic fibers, thus Fabric Banners are totally wrinkle and crease resistant. When the Banner gets dirty, wipe it with a damp cloth, washing is not recommended as it might damage the printed Graphics. Vinyl banners - Although Fabric banner can be used outdoors, however for promotional, long-term uses Vinyl banner is more recommended. The Graphics stay tough under cold and warm weather changes and do not lose its colors no matter what! Mesh banners - Also the preferred material to be used outdoor and more precisely open venue and windy locations. This type of material is wind resistant and great to attract prospects from afar. Hems and Grommets come with the Vinyl banner as a standard finish. 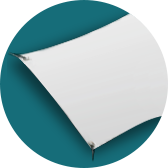 Grommets are placed at the corners of the banner - directly on the hems to provide the best hanging convenience to you. In case you don’t want grommets, we also offer ople pocket finish and also provide all the necessary accessories for hanging of your choice - hanging kits, bungee cords, zip ties, etc. The ideal banner will effectively showcase your message across your target audience. The banner is digitally printed in full color with the highest resolution possible. As statistics show, the cost per view - with its minimum investment and the impact it leaves on people - of Vinyl banner is much lower than other means of OOH (Out of Home) Advertising. 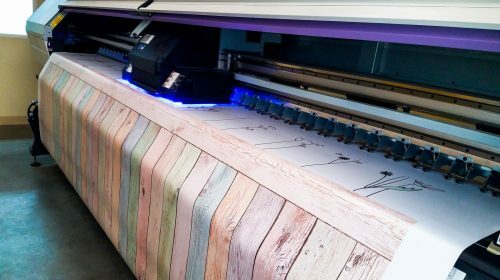 Hence, the perfect Vinyl banner has readability and message hierarchy - two important factors which make it a fantastic solution to draw more foot traffic. With contrast colors and large fonts, simple message, location predetermined - you can have the best, cost-effective ads ever! To prolong the longevity of the Mesh banner, we suggest you roll with the back side of the printed graphics. Dry and cool location can be the best place to store the banner. Why not to fold, as the inks can stick to each other if located under the heat for too long. All our banners - Vinyl, Mesh or fabric - can last from 2-5 years without fading. The conditions and the proper care, of course prolong the lifespan of the banner. Yes! We make double sided banners in case of custom orders. Both one-sided and double sided mesh banners are printed separately and after which the printer can be sewn together to get a double-sided banner. If you don't want two sewn banners - we have a double Vinyl banner, which allows printing on both of the sides. Of course! 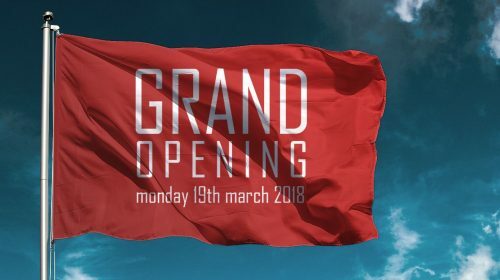 depending on the size of the banner and the target location of installation- the grommets are accordingly placed - pre-spaced and hemmed. In case, you’ll have specific preferences for the grommet placement - just let our designers know.